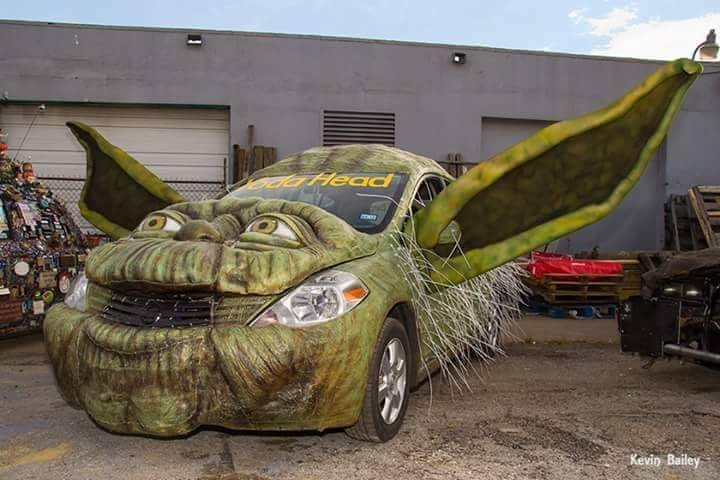 My artcar costume Yoda Head!!! Every year I change my artcar into another character...I just rip off the previous one and give it away ...and create a new one..i give myself only a few months.. I 1st sculpt out of clay, then make a HUGE mold, then I fill with latex, then foam...demold and attach to my artcar...just like you would on a human...lol..btw...i take my artcar every year to sick kids in hospitals...nursing homes..and lots of other places and states where children and people need to see art for HAPPINESS...these are my daily driver car...i only have one.